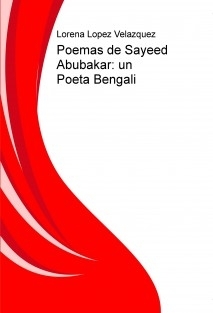 It is a book of poetry written by the great Bengali poet Sayeed Abubakar which is translated by Mexican poet Lorena Lopez Velazquez in Spanish. Sayeed Abubakar is originally a Bengali poet. His poems have been translated in English, Arabic and Spanish language. Lorena Lopez Velazquez is the first translator of Sayeed Abubakar's poems in Spanish. Mexican poet Lorena Lopez Velazquez started translating my poems in Spanish in 2012. I feel happy that those poems have been published in a complete book. Spanish readers are requested to read this book.